I actually picked up this book in April and just finished it. I’m such a slow reader and I forgot about it and had to pick it up again etc. BUT I finally finished it yaay. I thought I’d do a quick review of it as its proving quite popular since featuring in Zoella’s Book Club. This is a young adult fiction, but a really great one. It follows the lives of a boy named Theodore Finch and a girl called Violet Markey. They both find themselves at the top of the bell tower at school for the same reason, wanting to jump. Finch manages to talk Violet down and neither of them jump. It then follows their journey from then on. The author Jennifer Niven has touched on mental health issues such as depression, bipolar disorder and also dealing with the loss of a loved one. I feel like she does this in a kind and gentle way thats quite subtle. It does only scratch the surface of mental health issues however thats not the focus of the book. The real focus is Violet and Finches relationship with one another. I don’t want to give too much away, but I’d give this a 4.5/5 because it tugged at my emotions at so many points and I felt very connected with both characters throughout the book. 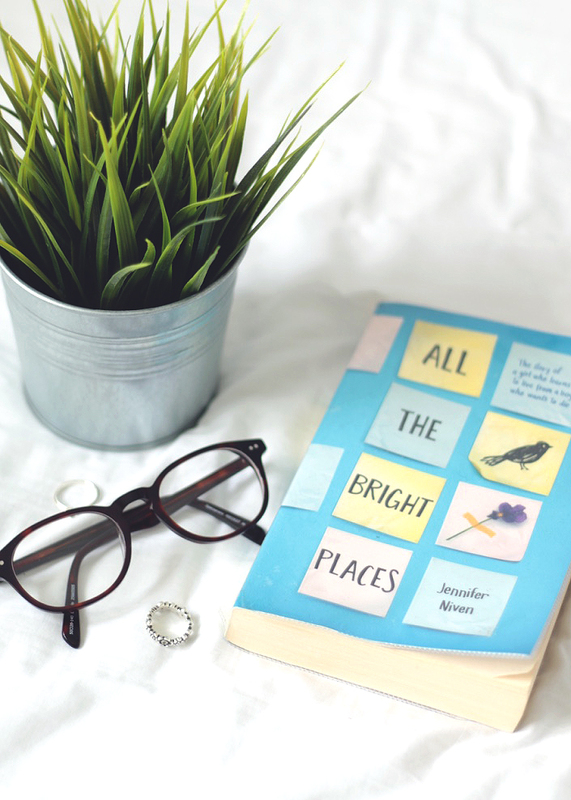 If you enjoy John Green’s books you’ll certainly love this!